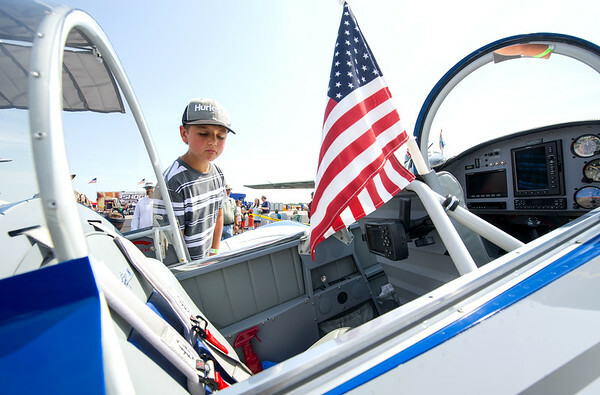 Seven-year-old Macer McCoy checks out the cabin of a Van's RV-8 built by Bill and Brenda Crissinger during Alpha AirFest 2017 on Saturday at the Joplin Regional Airport. The show continues today with a full slate of activities from 10 a.m. to 5 p.m. It took about 2,200 hours over four years to build the plane.